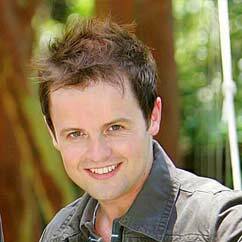 TV presenter Declan Donnelly is reported to be a shock transfer target for LA Galaxy. David Beckham’s new club have reportedly invited the shorter half of the Ant and Dec presenting duo for trials after he impressed them with his finishing during a kickabout for Robbie Williams’ LA Vale celebrity side. The Daily Star (if you believe them) claim that the 31-year-old is now wanted by Galaxy. Dec is a huge football fan and – along with Ant McPartlin – presented Soccer Aid and ‘sang’ England’s official 2002 World Cup song. The fact that his ITV wages are probably closer to Becks’ LA Galaxy payslip than the MLS outfit could offer him is one of many stumbling blocks for this slightly far-fetched transfer rumour!